-Optical microscopy and metallography microscope design. -Metals and alloys microhardness assessment. -Iron, aluminum, zinc and copper alloys microstructures. 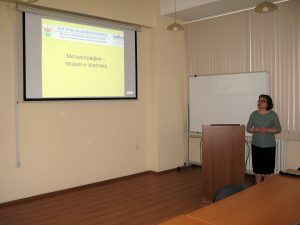 Practical workshops were carried out in laboratory “Metallography”. 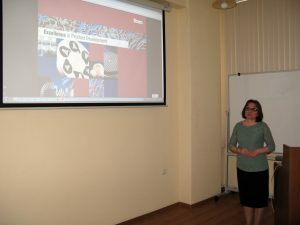 The participants enlarged their knowledge and improved their skills regarding one of the most used in modern scientific and industrial researches – the optical microscopy. Moments from the workshop are given below.